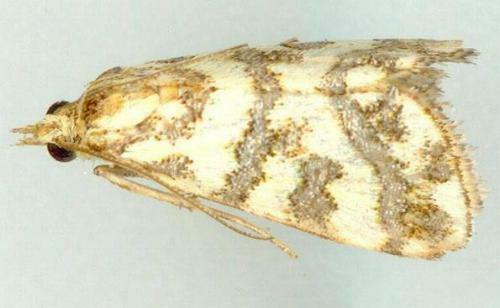 The adult moth of this species is pale yellow, with a pattern of dark-edged bands and spots on each forewing. The hindwings are pale brown, darkening toward the margins. The moth has a wingspan of about 2 cms. Volume 35 (1887), p. 265, No. 124.